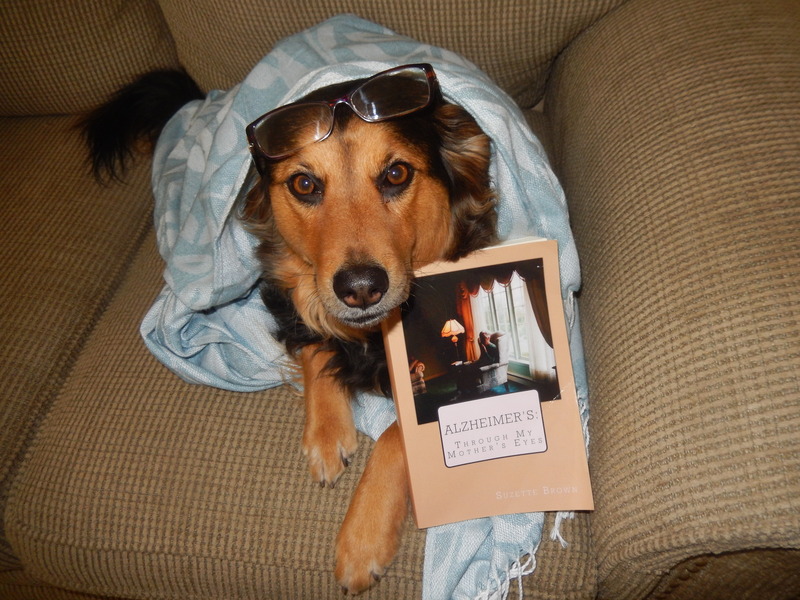 elder attorney elder law | "Alzheimer's: Through My Mothers Eyes"
“Deneale’s book BUZZ” Check it out ! Flower, “reading” her Mom’s book. So honored for the great write up ! Get a hint of my story and journals. Working full-time, a teenaged son, hard working husband and household to run….. Mom grew to be my top concern and I was there to speak for her, care for and protect her. I learned about many elder care issues. Driving, living alone, assisted living facilities, convalescent centers, elder attorneys, DPOA, Medical paperwork, and most importantly what I “COULD” and “SHOULD” have done. Compassion, fierce determination and defensiveness, patience, love, rage, determination and frustration. Posted in #memoir, Alzheimer's, Alzheimer's Support, Alzheimers caregivers, Amazon, assisted livings, Author, Author Interviews, Blog, bloggers, blogs, blurbs, book, Book review, Books, caregiver, caregivers, caregiving, comfort, Convalescent Centers, Death, Dementia, Deneale's Book Buzz, disease, Doctor, Dogs, elder attorney elder law, Elder care, Elder support, elderly scams, Family, Frustration, GoodReads, Grief, Health care, husband, Indie Authors, Indie book, Indie books, Journal, Kindle, Kindle Books, kobo, Marketing, mother, Parent, Promote, Proud, Reader, Rebel Mouse, sadness, self-publishing, Social Services Adult Division, son, support, Uncategorized, WordPress and tagged #alzforum #alzchat, #Alzheimers #caregiving #caregiver #caregivers #, #parent, #seniors, Journal. Bookmark the permalink. A San Francisco cable car holds 60 people. This blog was viewed about 1,600 times in 2015. If it were a cable car, it would take about 27 trips to carry that many people. Posted in Alzheimer's, Alzheimer's Support, Alzheimers caregivers, Amazon, Author, Author Interviews, Blog, bloggers, blogs, blurbs, book, Book signing, Books, boots, caregiver, caregivers, caregiving, Dementia, Dementia Journey, Deneale's Book Buzz, disease, editing, editor, elder attorney elder law, Elder care, Elder support, elderly scams, employees, Family, fraud, GoodReads, Health care, Honored, Indie book, Indie books, interview, Kindle, Kindle Books, kobo, Marketing, Promote, Reader, self-publishing, support, Uncategorized, WordPress. Bookmark the permalink. Can your Mother come live with you ? Can your Mother come live with you ?. Posted in Alzheimer's, Alzheimer's Support, Alzheimers caregivers, Blog, bloggers, blogs, blurbs, book, caregiver, caregivers, caregiving, Dementia, disease, elder attorney elder law, Elder care, Elder support, elderly scams, Family, GoodReads, Health care, Indie Authors, Indie book, Kindle, Kindle Books, kobo, mother, Parent, Passing, Rebel Mouse, support, WordPress, working. Bookmark the permalink. "Caring Across Generations"….full time caregiver and employee. Posted in Alzheimer's, Alzheimer's Support, Alzheimers caregivers, Amazon, Amazonb, Author, Author Interviews, Blog, bloggers, blogs, blurbs, book, Books, caregiver, caregivers, caregiving, day, Dementia, disease, elder attorney elder law, Elder care, Elder support, employees, employers, Family, fraud, full time, GoodReads, Health care, Indie Authors, Indie book, Indie books, job, jobs, Kindle, Kindle Books, kobo, Marketing, mother, Reader, Rebel Mouse, school system, Self Publisher's Showcase, support, time off, Tools, WordPress, working. Bookmark the permalink. Support and encourage Caregivers…..or become one. Support and encourage Caregivers…..or become one..
Posted in accounts, Alzheimer's, Alzheimer's Support, Alzheimers caregivers, Amazon, Blog, bloggers, blogs, blurbs, book, Books, caregiver, caregivers, caregiving, comfort, Death, Dementia, disease, elder attorney elder law, Elder care, Elder support, Family, GoodReads, Grief, Health care, Kindle, Kindle Books, kobo, mother, Nurse, Parent, Passing, Reader, Rebel Mouse, self-publishing, support, WordPress. Bookmark the permalink. "Elder Care: Don't Steal Mom's Identity"…..the ITRC. Posted in accounts, Alzheimer's, Alzheimer's Support, Alzheimers caregivers, banks, Blog, bloggers, blogs, blurbs, book, caregiver, caregivers, caregiving, comfort, Dementia, disease, elder attorney elder law, Elder care, Elder support, elderly scams, Family, fraud, Grief, Health care, identity theft, mother, Nurse, Parent, password, support, WordPress. Bookmark the permalink. Posted in Alzheimer's, Alzheimer's Support, Alzheimers caregivers, Amazon, Author, Blog, bloggers, blogs, blurbs, book, Books, caregiver, caregivers, caregiving, day, disease, elder attorney elder law, Elder care, Elder support, Family, full time, GoodReads, Grief, Health care, Indie Authors, Indie book, Indie books, job, jobs, Kindle, Kindle Books, kobo, married, mother, Nurse, Parent, Passing, Reader, Rebel Mouse, school system, self-publishing, support, WordPress, working. Bookmark the permalink.